In the last two years, Mercedes has made some of the best-looking cars in the business. At the lower end of the spectrum there're the tasty MFA platform machines like the A-Class, CLA and GLA. Those with a heavy wallet will be drawn to the graceful yet commanding S-Class and handsome AMG GT. Even the SUV segment is getting the same treatment, and the new GLC stands out for its great style. 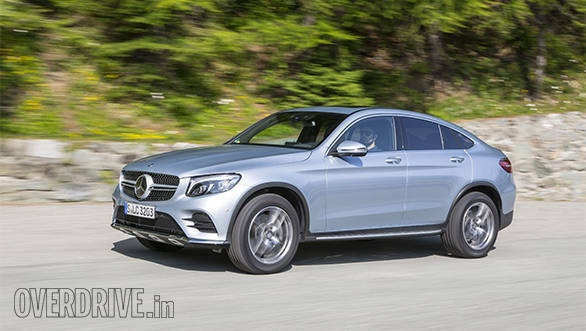 Not one to rest on its laurels, Mercedes-Benz has taken the game ahead with the coupe version of the GLC SUV. 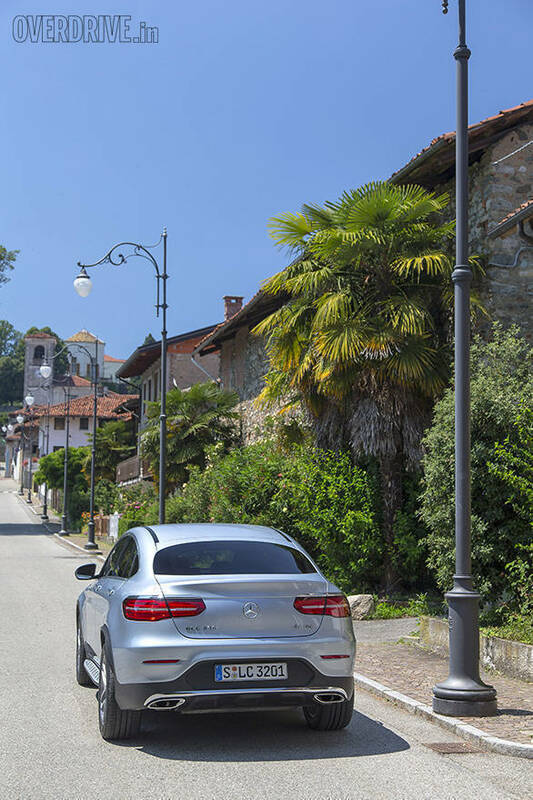 The company took us to Italy to experience it on the international first drive. Like its bigger brother, the GLE Coupe, this vehicle was designed precisely to take on competition from the BMW, in the case the X4. I'm no fan of these SUV coupes, and while they definitely turn heads, it's mainly through shock value than good looks. The GLC Coupe, however, is a step in the right direction. Thanks to the smaller proportions (at 4.73m long and 1.83m wide this is still a big machine) it pulls off the coupe silhouette better and doesn't look as brash and bulbous as its rivals or even its bigger brother. Mercedes has cleverly lengthened the GLA by 76mm and lowered it by 38mm to improve the stance. The smooth lines work well on the GLC Coupe, and she looks quite good in person and definitely stands out. I'm not so sure about the slightly kitschy chrome eyelids over the tail lamps though. At the front the design remains the same as the standard GLC, which is no bad thing. 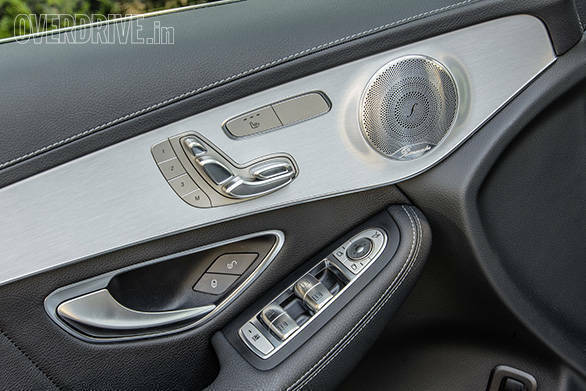 The sumptuous cabin is similar to the GLC and C-Class and it feels like being in a scaled-down S-Class. The dash comes in a choice of wood trims with a piano black scheme as standard. Multiple leather options are available as well, and customers in India should have access to them as this car will come in as a CBU. A seven-inch infotainment screen is standard along with a 20 CD audio system with Bluetooth streaming and dual USB ports. Visually the interior is familiar, but the sloping roof naturally eats into space at the rear. Despite the drop in headroom, I could just about fit comfortably in the rear without my head touching the roof. Since I'm just over 6ft tall this means headroom shouldn't be a problem for most customers. 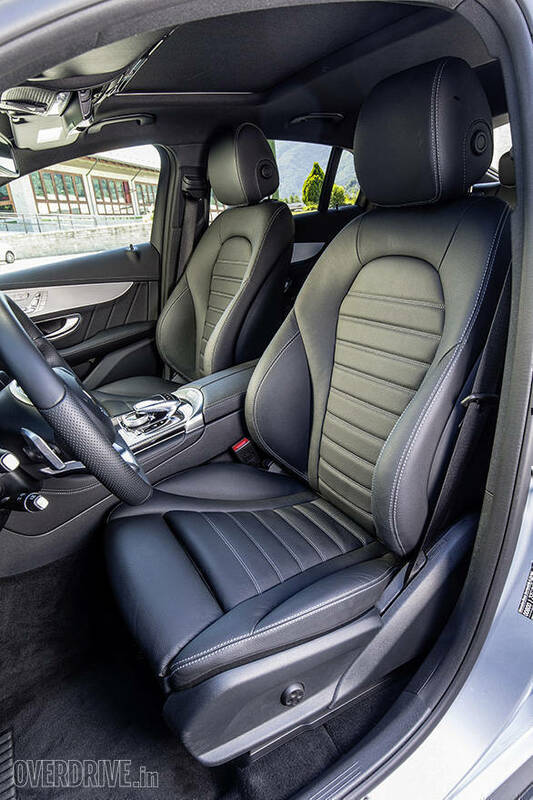 Space is otherwise identical to the standard GLC in terms of shoulder and knee room. The rear is therefore quite comfortable for two passengers, but the middle passenger will be burdened by the high transmission tunnel. Boot space is still quite decent at 491 litres (59 litres down on the GLC) but it is quite shallow. A small button releases the rear seats that offer a 40/20/40 split. An electronic boot open/close button is standard as is keyless entry and go and a reversing camera. Internationally, Mercedes-Benz is offering three diesels, two petrols and a petrol hybrid. The diesels are not being considered for India presently, and the hybrid uses a radar-based system which means it is out of contention as well until the government allows such technologies. 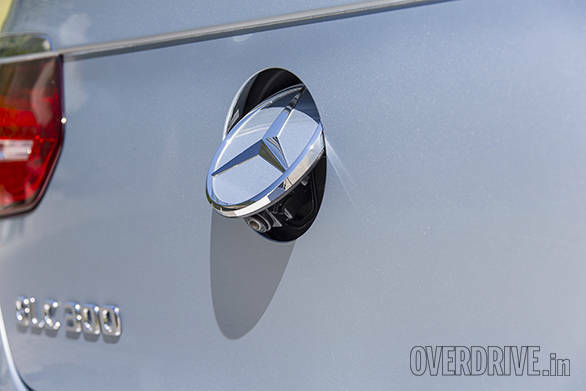 Of the petrols, Mercedes is planning on offering the more powerful 300 4MATIC model which uses a 2.0-litre turbo petrol good for 245PS and 370Nm. 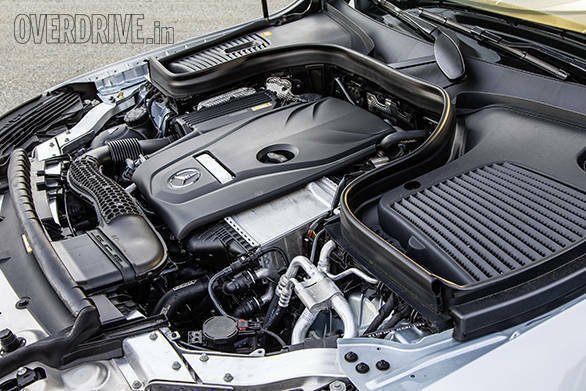 This is the same engine from the GLC petrol currently available in India, and it's a strong performer. Mercedes claims a 6.5s 0-100kmph run, and the car feels about as quick in person. The engine is smooth and turbo lag is well controlled. A 9-speed torque converter automatic is standard, and the gearbox matches the application well with crisp but smooth shifts. I particularly liked the rorty exhaust note, especially in Sport and Sport Plus mode. The sound is quite loud for something without an AMG badge and adds to the entertainment factor. When not in the mood, you can select Comfort or Eco mode which lowers the shift points and enables a coast function in the latter mode. Matching the quick performance is a surprisingly agile and involving chassis. The GLC Coupe comes with sports suspension as standard with fixed rate dampers. 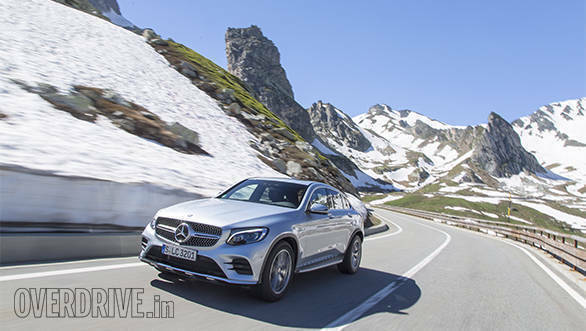 Internationally, buyers can opt for electronically adjustable dampers or air suspension, but Mercedes hasn't decided yet on what will be offered on India. For a vehicle so tall, the Coupe attacks corners with little body roll and immense grip from the full-time all-wheel drive system. Both the chassis and the steering feel sharper than the standard GLC. The brakes also offer strong performance. If there was one thing missing, it would be steering feel. The rack is quick and precise without any vagueness but doesn't offer any feedback from the road. Still, we thoroughly enjoyed our drive up the very tight and winding roads of the Aosta Valley in Italy.